One way to reduce labor and mistakes is to standardize components of systems that are repeated from house to house. Ductwork fabrication can become a real chore to calculate from one home to the next, as needs, layout and room sizes can all become deciding factors for determining the correct size air filter opening. 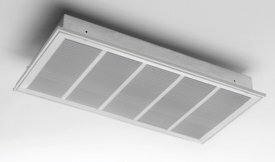 SpacePak is well known for their innovative high velocity air conditioning systems and have added the PurePak air filter at the intake opening in three standard sizes. This helps the contractor with easy installation and the homeowner with improved air quality. The SpacePak PurePak air filter operates the same as all the other Dynamic products, with a polarized media air filter pad at an efficiency of 97% down to 0.3 microns. 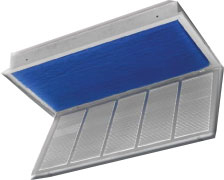 By purchasing the SpacePak PurePak air filter, you have improved your indoor air quality immensely. However, our customers have told us that the original pads from SpacePak are not sized well and allow for leakage around the edges of the pads. When you order here, we will send you the correct size SpacePak PurePak replacement media air filter pads to help improve your units performance. Our affordable pricing on SpacePak PurePak replacement media air filter pads helps keep your ongoing maintenance costs in line. Click here to learn more about how polarized electronic air cleaners work.